Dr. Ray Seidler, a retired Oregon State University professor and former microbiologist for the Environmental Protection Agency, is on a mission to educate local communities about what he says are the dangers of allowing genetically modified organisms into the food supply unlabeled and unregulated. The scientist says he was spurred to action after reading an opinion piece in the New York Times by Michael E. Mann titled, “If You See Something, Say Something” (Jan 17, 2014). In it, Mann, director of the Earth System Science Center at Pennsylvania State University and the author of The Hockey Stick and the Climate Wars: Dispatches from the Front Lines, urges scientists to be vocal about political issues such as climate change in which their knowledge and expertise can be compelling. That opinion re-enforces the idea that the marketplace will be the best means to curbing GMOs—especially since the Oregon Senate has blocked any future measures to regulate GMO crops, leaving activists with the option to focus instead on proper labeling and hoping that consumers will flex their muscles in the marketplace and reduce demand enough to run GMOs out of the state. Patrick Brown, executive director of Locavore, believes that is a very real possibility, explaining that when given the choice, customers are increasingly choosing organic options. “For eggs, once we started having two types—regular and organic feed—we noticed a big shift in egg suppliers shifting to organic feed,” Brown says. Producers recognized which was selling better and responded to demand accordingly. In a matter of months, he adds, half of Locavore’s egg producers made the switch. On a personal level, he’s concerned about a lack of government regulation. Brown is clearly not alone—the measure to ban GMO crops passed in Jackson County by a wide two-to-one margin. The primary threat to consumers, says Dr. Seidler, comes from the changes in crop management practices spurred by the development of Roundup-resistant seeds. He explains that with crops nearly immune to the herbicide, producers can spray their fields indiscriminately, instead of using day labor to pull weeds by hand or spot spray. This approach to controlling weeds, Seidler contends, results in higher levels of Roundup residues, which can have negative health impacts. He points out that Americans excrete 10 times more Roundup in their urine than Europeans do. His hypothesis: Many Europeans live in countries that require labeling of GMO products. Pesticides and other food borne chemicals can also be passed from mother to child from breastmilk. Seidler says that if mothers knew what was in, or on, their food, they could make better choices while breastfeeding. In an effort to minimize environmental threats to crops (and, thereby, profits), large agri-businesses like Monsanto and Syngenta are working to develop plants that are inherently resistant to pests by altering them on the cellular level. (Roundup resistance crops, on the other hand, are achieved by injecting bacteria into the plants.) While Seidler says he doesn’t know enough yet about any health risks that may be associated with this approach, many scientists are concerned. The biggest concern in Jackson County, however, went beyond health risks to consumers, which can be easily avoided by not purchasing foods bearing a GMO label. There, Seidler explains, community members were also concerned about cross-pollination between GMO and conventional crops. Because GMO seeds are patented by the corporations that create them, they cannot be purchased by farmers outright. Rather, the seeds are leased to growers for a set period of time. Seidler says that this sets up a potentially sticky situation when seeds travel (as they are designed by nature to do) from one field to another. When GMO seeds cross-pollinate with conventional or organic seeds at a neighboring farm, the result can be devastating for conventional farmers on a number of levels. First, Seidler says, because those seeds belong to the corporation, if a farmer’s end of season seed collecting happens to include patented genetic material, they may find themselves in violation of patent law. And that’s assuming they want to use it. Because non-GMO farmers are generally intentionally avoiding genetically engineered organisms, their introduction into their crops can jeopardize their ability to sell to customers. In Jackson County, the mere possibility of cross-pollination was enough to give some purchasers cold feet. Seidler says that because Syngenta was growing sugar beets in the area, Oregon farmers were rebuffed by European buyers who broke their contract when they learned about the potential presence of GMOs. Seidler also explains that labeling GMO food should not be a hardship. Many foods already receive GMO stickers when exported to other countries that already require them, he points out. Consumers deserve to know what they are consuming, he says, and requiring labeling isn’t a particularly tall order. And if you believe the producers, he adds, labels shouldn’t cause them any harm. 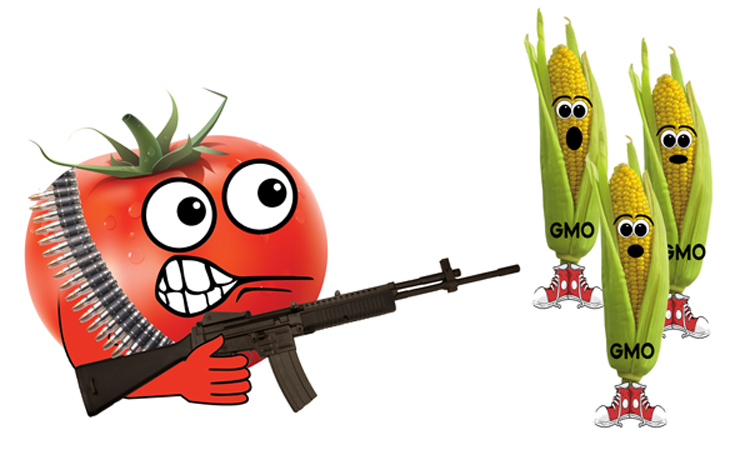 Dr. Ray Seidler presents “The Truth About GMO Crops,” 2 pm, Sat., July 19, Willie Hall, COCC. Free.